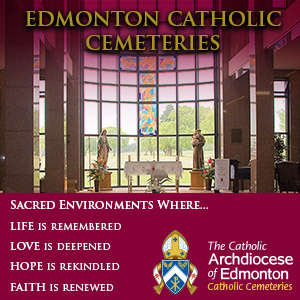 Christina Kruszewski braved dazzling snow flurries and bone-chilling winds to participate in Edmonton’s 38th Outdoor Way of the Cross, an event which she says brought her back to the faith. 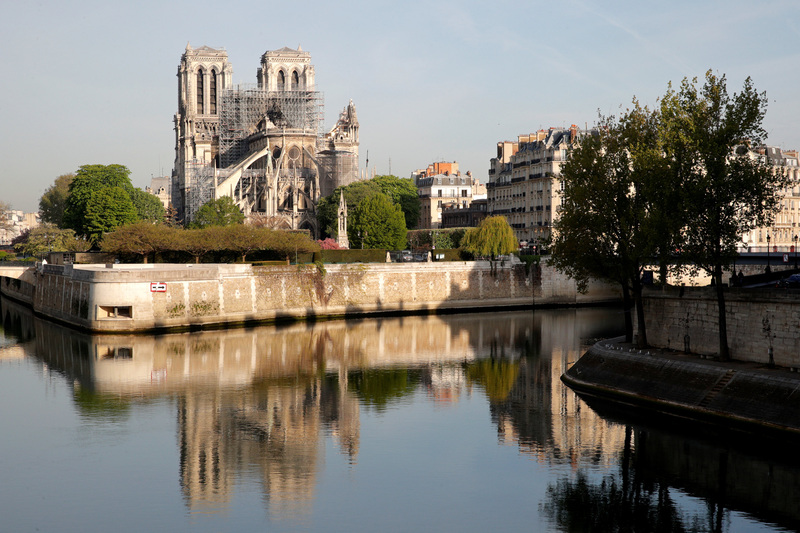 “I’ve never been comfortable in the traditional Good Friday service, and I kind of wandered away from the Church a bit. But this is something that brought me back,” Kruszewski said after giving the final reflection at the Outdoor Way of the Cross, an event of prayer, song and reflection on social justice. 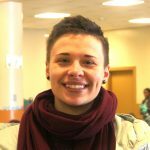 “Something that is really important to me about my faith is that it goes out, and it is part of a community and that it is not just kept to a church building,” said Kruszewski, an organizer of the event and an employee with the Canadian Catholic Organization for Development and Peace. The Outdoor Way of the Cross is an ecumenical event modelled after the popular Christian devotional that marks Jesus’ last hours before his crucifixion. This year’s theme, “Speaking Truth to Power,” was inspired by the words of Jesus in John 8:32 and John 14:6. 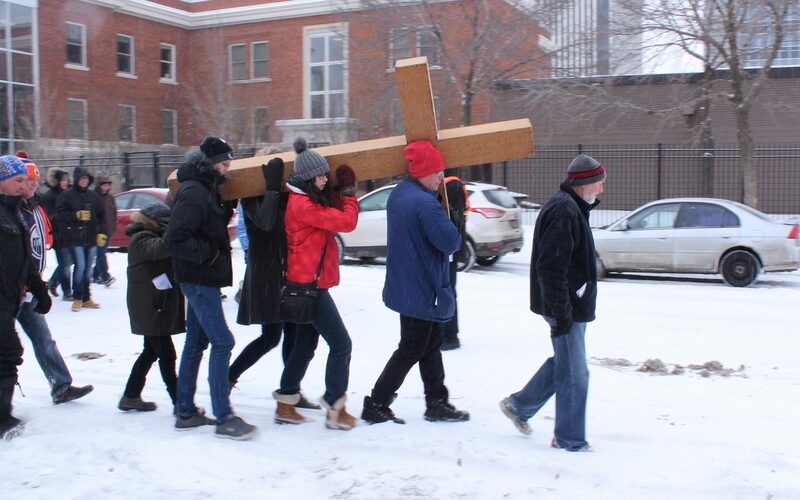 Volunteers carried a large wooden cross as about 300 participants walked to seven points along a two-kilometre route through the inner city, starting at Immigration Hall and ending outside Hope Mission, with stops at the Homeless Memorial behind City Hall, the Edmonton Police Service headquarters and the Bissell Centre. 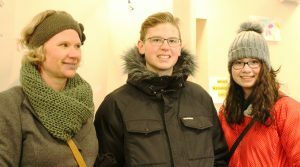 It also featured reflections on such themes as homelessness and the Truth and Reconciliation Commission, all while attendees moved their feet and held one another in an attempt to stave off the cold. 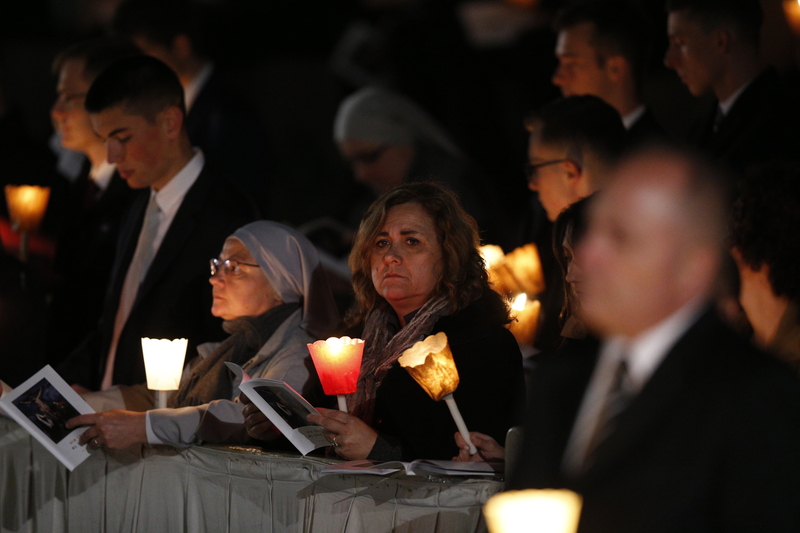 For Brother Michael Perras, the event is a powerful reminder of Jesus’ sacrifice on the Cross. 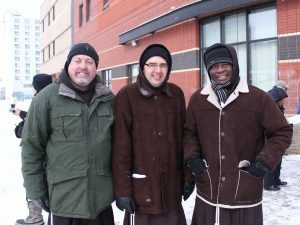 “It’s a gift that we can come together from all walks of life and walk together to do this, to remember the Cross, which we remember that there’s hope and truth in the Cross and that it empowers us,” said Perras, a member of the Order of Friars Minor Franciscans of Canada. 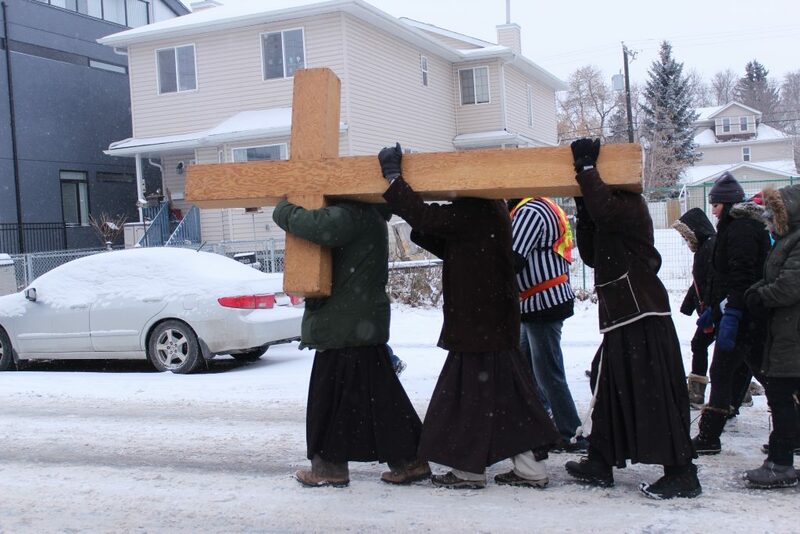 Perras and fellow Brothers Benjamin Ripley and Michael Okwegba carried the heavy cross to each station. Stopping at a vacant lot of contaminated land, they offered a reflection on protecting the environment. Vivian McDonald and her kids also had the opportunity to carry the cross. “It was heavy, but it was cool to lead the event,” said son Jacob. They carried it to the Homeless Memorial, where Vivian’s husband Cam, executive director of the Right at Home housing society, reflected on his experiences with the homeless community. For Vivian, the walk was a return to the area where she once served with Operation Friendship. “It was meaningful for me because for years I worked with the homeless community, and I was able to go past places where I used to work at,” she said. According to organizer Jim Gurnett, this year’s walk was the coldest yet—with wind chill, the temperature had plunged to -21 C by the 10 a.m. start. But he wasn’t surprised people still came out. “People who are followers of Jesus need to also be prepared to speak out about the social ills that are happening around us in the world, locally and globally,” said Gurnett, who has organized the event for 17 years. “It’s a walk to remind people that we can’t just sit in churches and worship—if we are people of faith, we need to live out the values of Jesus in the real world,” he said. Kruszewski felt honoured when she was approached to give the final reflection in front of Hope Mission, where she led participants in a ‘litany of commitment’ to embrace the theme and speak truth to power. 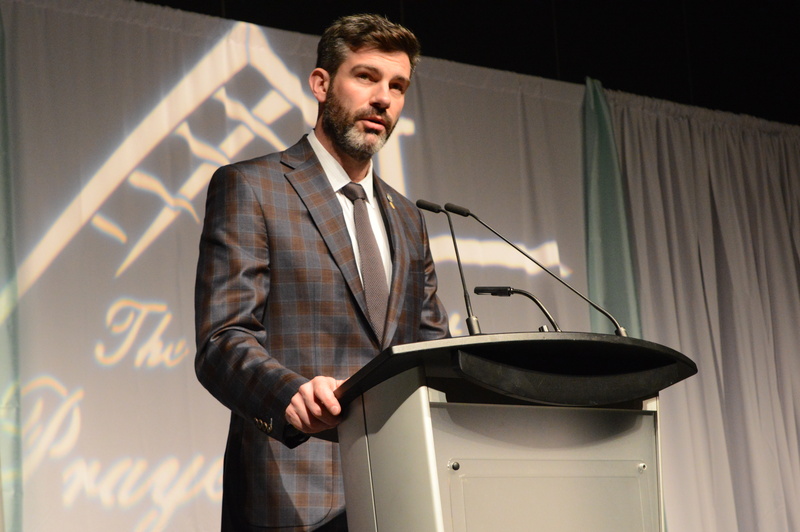 “It’s incredible that this event is able to move around and raise awareness about certain issues in our city, and involve people in the community,” said Kruszewski. To those considering attending, she recommends that people dress warm and come with an open heart. 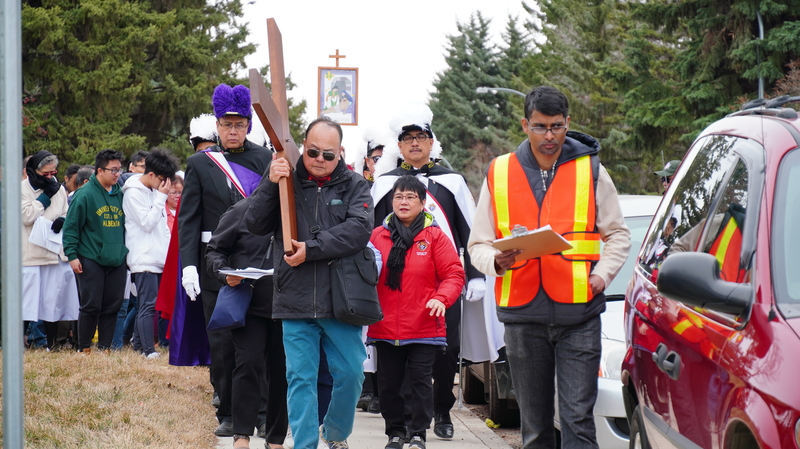 Similar events were held across the Edmonton region on Good Friday, with St. Agnes and St. Anthony parishes hosting their second Outdoor Way of the Cross between the two south-side churches and Leduc hosting its fifth annual Good Friday Carrying of the Cross.